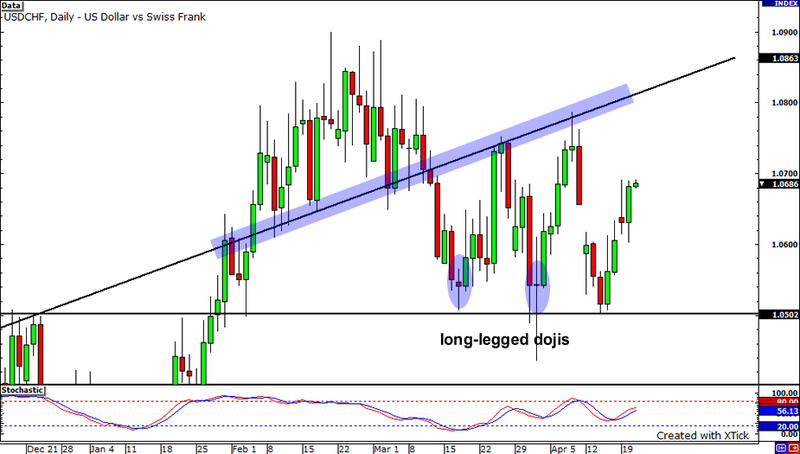 Check out that cool broadening formation on the daily chart of the USDCHF! From the chart I posted above, you can see how buyers protected the 1.0500 handle like a hawk! Take a look at those two long-legged doji-like candlesticks at support….That means that buyers were quick to jump in and buy the pair when price touched this level. If this upward momentum keeps up, the pair could go as high as the rising trend line resistance before going back down again. How important are those “zeroes,” which are also known as psychological significant numbers, for the yen pairs? 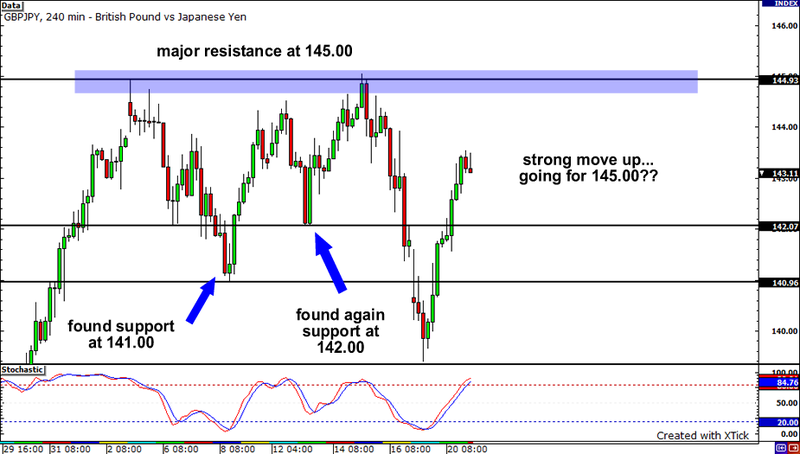 If you want to know the answer, take a look at the 4-hour chart of the GBPJPY I posted above. As you can see, more often than not, these psychological levels have given the pair a lot of resistance and/or support. In any case, it looks the bulls are bee-lining for this month’s high at the 145.00 handle. Keep a close eye on that level, as we could see a large number of sellers just waiting to short the pair at that area, especially if candles fail to close above it. 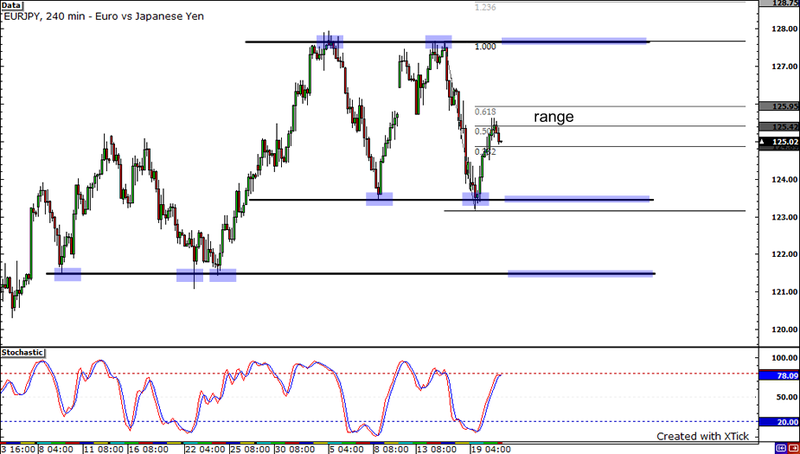 Here’s an update of the EURJPY chart that I drew yesterday. Notice that the pair has corrected back to its 50% Fibonacci retracement level after dipping to a low of 123.16. With stochastics almost in the overbought area, the pair could reverse and head back towards the bottom of the range again. The next level of support would be around 121.50 if 123.50 gets broken. On the other hand, the pair could race back to reach this month’s high of 127.94 if risk appetite persists.